Piero Anversa, a stem cell researcher who we recently learned is leaving Harvard and Brigham & Women’s Hospital after suing them, has added a disclosure statement to six publications. 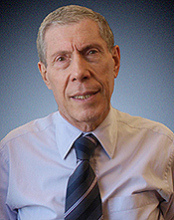 Piero Anversa, MD, discloses that he is a member of Analogous, LLC. The author regrets this omission. 157. Drs. Anversa and Leri had a multimillion dollar offer to purchase their company, Autologous/Progenital, which was withdrawn when the investigation was publicly disclosed. He has filed two patents under “Autologous, LLC,” for methods to isolate stem cells. The lawsuit, by Anversa and his colleague Annarosa Leri, claimed an investigation into their work also cost them job offers. We were made aware of the issue because it was being discussed in the public domain. As a result, we asked the authors if their disclosures needed to be updated. An investigation was being conducted by Harvard and it was covered by the Boston Globe and other media outlets. We don’t have that information. Please check with Dr. Anversa. We’ve reached out to Piero Anversa and his lawyer for more information, and will update this post with anything else we learn. Autologous Regeneration LLC is incorporated in Delaware, with a business address of 975 Park Avenue, Apt. 12-A, New York NY.